As of December 31, 2017, the aggregate market value of the voting and non-voting common equity held by non-affiliates was $177,277 based on the closing price on that date. As of April 18, 2018, the registrant had 966,394,233 shares of common stock issued and outstanding. Portions of the registrant’s Proxy Statement for the registrant’s 2017 Annual Meeting of Stockholders are incorporated by reference in Part III of this Annual Report on Form 10-K. Such Proxy Statement will be filed with the Securities and Exchange Commission within 120 days of December 31, 2017, the last day of the fiscal year covered by this Annual Report on Form 10-K.
● our ability to comply with evolving legal standards and regulations, particularly concerning requirements for being a public company. These forward-looking statements speak only as of the date of this Form 10-K and are subject to uncertainties, assumptions and business and economic risks. As such, our actual results could differ materially from those set forth in the forward-looking statements as a result of the factors set forth below in Part I, Item 1A, “Risk Factors,” and in our other reports filed with the Securities and Exchange Commission. Moreover, we operate in a very competitive and rapidly changing environment, and new risks emerge from time to time. It is not possible for us to predict all risks, nor can we assess the impact of all factors on our business or the extent to which any factor, or combination of factors, may cause actual results to differ materially from those contained in any forward-looking statements we may make. In light of these risks, uncertainties and assumptions, the forward-looking events and circumstances discussed in this Form 10-K may not occur, and actual results could differ materially and adversely from those anticipated or implied in our forward-looking statements. You should not rely upon forward-looking statements as predictions of future events. Although we believe that the expectations reflected in our forward-looking statements are reasonable, we cannot guarantee that the future results, levels of activity, performance or events and circumstances described in the forward-looking statements will be achieved or occur. Moreover, neither we nor any other person assumes responsibility for the accuracy and completeness of the forward-looking statements. We undertake no obligation to update publicly any forward-looking statements for any reason after the date of this Form 10-K to conform these statements to actual results or to changes in our expectations, except as required by law. You should read this Annual Report on Form 10-K and the documents that we reference in this Annual Report on Form 10-K and have filed with the Securities and Exchange Commission as exhibits thereto with the understanding that our actual future results and circumstances may be materially different from what we expect. Boreal Productions Inc. (the Company) was incorporated under the laws of the State of Nevada on September 24, 2007. Andrea Fehsenfeld was then appointed sole officer and director. The Company was formed to option feature films and TV projects and then package them to sell at a profit to various studios and production companies. At that time the board of directors voted to seek capital and begin development of our business plan. We received our initial funding of $9,000 through the sale of common stock to Ms. Fehsenfeld who purchased 3,000,000 shares of common stock at $0.003 per share and $45,000 from the sale of 3,000,000 shares of common stock issued to 30 un-affiliated investors at $0.015 per share. On June 11, 2008, we effected a five for one forward stock split of our authorized and issued and outstanding common stock. As a result, our authorized capital increased from 75,000,000 to 375,000,000 shares of common stock and our outstanding share capital increased from 6,000,000 shares of common stock to 30,000,000 shares of common stock. We have not achieved revenues and have accrued a Net Loss of $153,964 since inception through May 6, 2015, the date of the reverse merger. We have been issued a going concern opinion by our auditors and rely upon the sale of our securities to fund operations. To date we have been unable to raise sufficient capital to finance the production of any film or television production and, consequently, our management has sought alternative strategies, such as business combinations or acquisitions, to create value for our shareholders. On April 13, 2015, we entered into a share exchange agreement with DSG TAG and the shareholders of DSG TAG who become parties to the share exchange agreement. Pursuant to the terms of the share exchange agreement, we agreed to acquire not less than 75% and up to 100% of the issued and outstanding shares of DSG TAG’s common stock in exchange for the issuance by our company of up to 20,000,000 shares of our common stock to the shareholders of DSG TAG on the basis of one of our common shares for 5.4935 common shares of DSG TAG. Previously, in anticipation of the share exchange agreement with DSG TAG, we undertook to change our name and effect a reverse stock split of our authorized and issued common stock. Accordingly, on January 19, 2015, our board of directors approved an agreement and plan of merger to merge with our wholly-owned subsidiary DSG Global Inc., a Nevada corporation, to effect a name change from Boreal Productions Inc. to DSG Global Inc. Our company remains the surviving company. DSG Global Inc. was formed solely for the change of name. Also on January 19, 2015, our company’s board of directors approved a resolution to effect a reverse stock split of our authorized and issued and outstanding shares of common stock on a three (3) old for one (1) new basis. Upon effect of the reverse split, our authorized capital will decrease from 375,000,000 shares of common stock to 125,000,000 shares of common stock and correspondingly, our issued and outstanding shares of common stock will decrease from 30,000,000 to 10,000,000 shares of common stock, all with a par value of $0.001. Articles of Merger to effect the merger and change of name and a Certificate of Change to effect the reverse stock split were filed with the Nevada Secretary of State on January 22, 2015, with an effective date of February 2, 2015. The name change and forward split were reviewed by the Financial Industry Regulatory Authority (FINRA) were approved for filing with an effective date of February 23, 2015. The name change became effective with the Over-the-Counter Bulletin Board and OTC Markets quotation system at the opening of trading on February 23, 2015 under the symbol “BRPOD”. Effective March 19, 2015 our stock symbol changed to “DSGT”. Our new CUSIP number following the symbol change is 23340C104. The first trade of our common shares occurred on March 25, 2015. On May 6, 2015, we completed the acquisition of approximately 75% (82,435,748 common shares) of the issued and outstanding common shares of DSG TAG Systems as contemplated by the share exchange agreement by issuing 15,185,875 shares of our common stock to shareholders of DSG TAG Systems who became parties to the agreement. In addition, concurrent with the closing of the share exchange agreement, we issued an additional 179,823 shares of our common stock to Westergaard Holdings Ltd. in partial settlement of accrued interest on outstanding indebtedness of DSG TAG Systems. Following the initial closing of the share exchange agreement and through October 22, 2015, we acquired an additional 101,200 shares of common stock of DSG TAG Systems from shareholders who became parties to the share exchange agreement, and issued to these shareholders an aggregate of 18,422 shares of our common stock. Following completion of these additional purchases, DSG Global owns approximately 100% of the issued and outstanding shares of common stock of DSG TAG Systems. An aggregate of 4,229,384 shares of Series A Convertible Preferred Stock of DSG TAG Systems continues to be held by Westergaard Holdings Ltd., an affiliate of Keith Westergaard, a member of our board of directors. The reverse acquisition was accounted for as a recapitalization effected by a share exchange, wherein DSG TAG Systems is considered the acquirer for accounting and financial reporting purposes. The assets and liabilities of the acquired entity have been brought forward at their book value and no goodwill has been recognized. We adopted the business and operations of DSG TAG Systems upon the closing of the share exchange agreement. Our principal executive office is located at 214 - 5455 152nd Street, Surrey, BC, V3S 5A5 Canada. The telephone number at our principal executive office is 1 (877) 589 - 8806. Subsequent to the closing of the share exchange agreement with DSG Tag Systems, Inc. (“DSG TAG”), we have adopted the business and operations of DSG TAG. DSG TAG was incorporated under the laws of the State of Nevada on April 17, 2008 and extra provincially registered in British Columbia, Canada in 2008. In March 2011, DSG TAG formed DSG Tag Systems International, Ltd. in the United Kingdom (“DSG UK”). DSG UK is a wholly owned subsidiary of DSG TAG. When used the terms “Company,” “we,” “our,” “us,” “DSG,” or “DSG TAG,” means DSG Global, Inc. and its subsidiary DSG Tag Systems, Inc. and its wholly-owned subsidiary DSG Tag Systems International, Ltd.
DSG Global Inc. (“DSG”) is a technology development company based in Surrey, British Columbia, Canada, engaged in the design, manufacture, and marketing of fleet management solutions for the golf industry, as well as commercial, government and military applications. Its principal activities are the sale and rental of GPS tracking devices and interfaces for golf vehicles, and related support services. The company was founded by a group of individuals who have dedicated their careers to fleet management technologies and have been at the forefront of the industry’s most innovative developments. The company has developed the TAG suite of products that represents a major breakthrough as the first completely modular fleet management solution for the golf industry. The Executive Team has over 50 years’ combined experience in the design and manufacture of wireless, GPS, and fleet tracking solutions. The TAG suite of products is currently sold and installed around the world in golf facilities and commercial applications through a network of established distributors and partnerships with some of the most notable brands in fleet and equipment manufacture. The company specializes in the vehicle fleet management industry. DSG stands for “Digital Security Guard” which is the company’s primary value statement giving fleet operator’s new capabilities to track and control their vehicles. The company has developed a proprietary combination of hardware and software that is marketed around the world as the TAG System. The company has primarily focused on the golf industry where the TAG System is deployed to help golf course operators manage their fleet of golf carts, turf equipment, and utility vehicles. DSG is now a leader in the category of Fleet Management in the golf industry and was awarded “Best Technology of the Year” by Boardroom magazine the publication of the National Golf Course Owners Association in 2010. To date the TAG is installed on over 8,000 vehicles and the company has monitored over 6,000,000 rounds. The TAG system fills a void in the marketplace by offering a modular structure which allows the customer to customize their system depending on desired functionality and budget constraints. In addition to the core TAG vehicle control functionality which can operate independently, DSG has two golfer information display systems; the alphanumeric TEXT and high definition TOUCH providing the operator two options which is unique in the industry. The market for the TAG System is the 40,000 golf operations worldwide. While the golf industry is still the primary sales and marketing focus, the company has completed several successful pilots of the TAG in other vertical markets such as agriculture, and commercial fleet deployments. With appropriate resources in place the company will implement a sales and marketing strategy expanding into these markets. We have a direct sales force in North America, which comprises the most significant portion of the golf fleet market, and have developed key relationships with distributors and golf equipment manufacturers such as E-Z-GO, Yamaha and Ransomes Jacobsen to help drive sales for the North American and worldwide markets. We are an Emerging Growth Company as defined in the Jumpstart Our Business Startups (JOBS) Act. (D) the date on which such issuer is deemed to be a ‘large accelerated filer’, as defined in section 240.12b-2 of title 17, Code of Federal Regulations, or any successor thereto.’. As an emerging growth company we are exempt from Section 404(b) of Sarbanes Oxley. Section 404(a) requires Issuers to publish information in their annual reports concerning the scope and adequacy of the internal control structure and procedures for financial reporting. This statement shall also assess the effectiveness of such internal controls and procedures. Section 404(b) requires that the registered accounting firm shall, in the same report, attest to and report on the assessment on the effectiveness of the internal control structure and procedures for financial reporting. As an emerging growth company we are exempt from Section 14A and B of the Securities Exchange Act of 1934 which require the shareholder approval of executive compensation and golden parachutes. We have elected not to opt out of the extended transition period for complying with any new or revised accounting standards pursuant to Section 107(b) of the JOBS Act. DSG produces a “modular” suite of products to provide fleet management solution for any vehicle required for a golf operation, and provides two golfer information display options to meet the operators budget requirements. DSG believes that it is currently the only company in the golf fleet management industry with these capabilities. The DSG TAG System is designed from the ground up to be a golf/turf vehicle fleet management system. 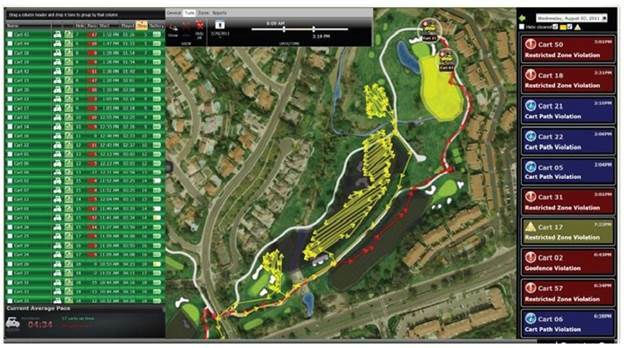 Its main function is addressing the golf course operator needs. While employing same core technology (cellular wireless and GPS) as traditional commercial vehicle fleet management systems, DSG has created patent pending solutions to adapt it to the very specific requirements of the golf environment. Compared to mainstream fleet tracking products, DSG collects 10 to 50 times more data points per MB (megabyte) of cellular data due to its proprietary data collection and compression algorithms. Also the relative positioning accuracy is improved by almost one order of magnitude by the use of application-specific geo-data validation and correction methods. DSG’s proprietary methods make it possible to offer a solution suitable for use on golf courses at a price low enough to be affordable in the industry. Every system component incorporates state-of-the-art technology (server, mobile trackers, display). In developing its products DSG TAG Systems has adopted an application oriented approach placing the most emphasis (and research & development) on server and end-user software by taking advantage of the commodity level reached by mainstream technologies such as Global Positioning (GPS) and M2M (Machine to Machine) Cellular Data in the wider context of Commercial Fleet Management. DSG leveraged the existence of an abundance of very cost effective telematics solutions by selecting an “off-the-shelf” hardware platform that meets all the main performance and environmental requirements for operation in the harsh, outdoor golf course environment. While removing all risk and cost associated with developing a proprietary hardware platform, DSG has maintained the unique nature of its hardware solution by developing a set of proprietary adapters and interfaces specifically for the golf application. DSG has secured an exclusive supply agreement with the third-party hardware manufacturers for the vertical of golf industry. Additionally, DSG owns the design of all proprietary adapters and interfaces. This removes the risk of a potential competitor utilizing the same hardware platform. Competitors could attempt to reverse engineer or copycat the TAG technology and equipment. This risk factor is mitigated by the fact that our product does not rely on a particular technology or hardware platform to be successful but on a very specific vertical software application that is far more difficult to copy (and respectively easier to protect). The application software contains patent features implemented in every core component of the system. The TAG device runs DSG proprietary firmware incorporating unique data collection and compression algorithms. The web server software which powers the end-user application is also proprietary and incorporates the industry knowledge accumulated through the over 70 years of collective experience of the DSG team. This approach has given the product line a high level of endurance against technology obsolescence. At any point in time, if a hardware component is discontinued or a better/less expensive hardware platform becomes available, the software application can be easily adapted to operate on the new platform or with the new component. The company benefits from the constant increase of performance and cost reduction of mainstream hardware technology without any additional cost. The web-based Software-as-a-Service (SaaS) model used by DSG TAG System is optimal for low operating and support costs and rapid-cycle release for software updates. It is also a major factor in eliminating or substantially reducing the need for any end-user premises equipment. Customers have access to the service through any internet connected computer or mobile device, there is no need for a local wireless network on the facility and installation time and cost are minimal. DSG is positioned to take advantage of mainstream technology and utilize “best of breed” hardware platforms to create new generations of products. Our software is designed to be “portable” to future new platforms with better GPS and wireless technology in order to maintain the Company competitive edge. All new product development effort of DSG is following the same model: select the best of breed third-party hardware platform, design and produce custom proprietary accessories while focusing the bulk of the development efforts on vertical software application to address a very specific set of end-customer needs. 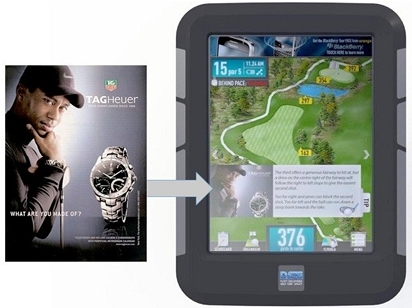 The latest addition to the TAG family of products, the TAG TOUCH is a perfect example of this development philosophy in action: the main component is a last-generation Android tablet PC wrapped in a custom designed outdoor enclosure containing the power supply and interface components required for the golf environment. The software application is taking advantage of all the advanced high resolution graphics, touch user interface and computing power of the Android OS delivering a vastly superior user experience compared to competitive systems. The time to market for this product was 30% of how long it took to develop and launch this type of products in the past. The company’s flagship product is the TAG Control unit. 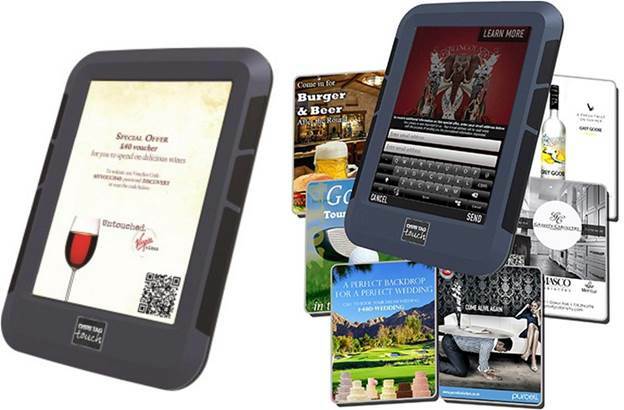 The TAG can operate as a “stand alone” unit or with one of two displays; the TEXT alphanumeric display or the TOUCH high definition “touch activated” screen. The TAG is GPS enabled and communicates with the TAG software using cellular GSM networks. Utilizing the cellular networks rather than erecting a local Wi-Fi network assures carrier grade uptime, and vehicle tracking “off- property”. GSM is the de facto global standard for mobile communications. The TAG unit itself is discreetly installed usually in the nose of the vehicle to give the GPS clear line of site. It is then connected to the vehicle battery and ignition. The property is then mapped using the latest satellite imagery that is graphically enhanced and loaded into the TAG System as a map. Once installed the vehicle owner utilizes the TAG software to locate the vehicle in real time using any computer, smartphone, or tablet that has an internet connection and perform various management operations. The operator can use the geo-fencing capabilities to create “zones” on the property where they can control the vehicles behavior such as shutting down a vehicle that is entering a sensitive or dangerous area. The TAG System also monitors the strength of the vehicle’s battery helping to prevent sending out vehicles undercharged batteries which can be an inconvenience for the course and negatively impact the golfer experience. 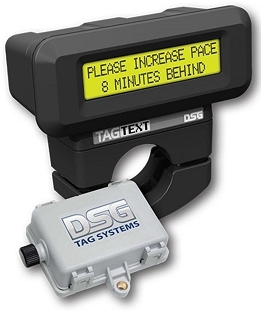 The TEXT is paired with the TAG Control unit as DSG’s entry level display system for operators who desire to provide basic hole distance information and messaging to the golf customer. The TEXT is a very cost effective solution for operators who desire to give their customers GPS services with the benefits of a Fleet Management back end. The TEXT can be mounted on the steering column or the dash depending on the customer’s preference. The TOUCH is a solution for operators who desire to provide a high level visual information experience to their customers. The TOUCH is a high definition “Touch” activated display screen mounted in the golf cart integrated with the TAG Control unit to provide a full back/front end Fleet Management solution. The TOUCH displays hole graphics, yardage, and detailed course information to the golfer and provides interactive features such as Food and Beverage ordering and scorekeeping. The industry leading Touch HD – the most sophisticated display in the market. A unique feature of the TOUCH system is the advertising display capability. This can be used by the operator for internal promotion of services or for generating revenue by selling the ad real estate since the golf demographic is very desirable to advertisers. The TOUCH displays banner, panel, full page, pro tip, and Green view ads. There is also ad real estate on the interactive feature screens for Food and Beverage ordering and the scorecard. The Touch System can also display animated GIF files or play video for added impact. DSG has developed proprietary “Ad Manager” software which is used to place and change the ads on the system(s) from a central NOC (Network Operations Center) in real time. The Ad Manager can deploy to a single system or multiple systems. This creates a network of screens that is also very desirable to advertisers as ad content can be deployed locally, regionally, or nationally. The advertising platform is an important part of the company’s future marketing and sales strategy. The DSG R3 program delivers advance ROI (Revenue Optimization Intelligence). Utilizing all streams of advertising delivery, such as automated, direct, and self-serve. The R3 program has the ability to deliver relevant advertising to golfers the moment they sit in the cart. The R3 model is more effective than the previous advertising model of ‘One to One’, these are local ads only sold through direct sales by courses, or 3rd party advertising sales firms. The new R3 model offers ‘Many to one’ advertising options, delivering thousands of national, regional, and local advertisers an opportunity to advertise on our screens through our R3 Marketplace. The TAG Turf and the new ECO TAG were developed to give course operators the same back end management features for their turf equipment and utility vehicles. Turf equipment is expensive and a single piece can run over $100,000 and represents a large portion of a golf course operating budget. The TAG Turf and ECO TAG have comprehensive reporting that the operator can utilize to implement programs that can increase efficiencies, reduce labor costs, help lower idle times, provide fuel consumption and equipment performance, provide historical data on cutting patterns, and reduce pollution from emissions by monitoring idle times. Since the golf course needs to be maintained regardless of volume these cost saving measures directly impact the operator’s bottom line. DSG derives revenue from four different sources. Systems Sales Revenue, which consists of the sales price paid by those customers who purchase our TAG system hardware. Monthly Service Fees are paid by all customers for the wireless data fee charges required to operate the GPS tracking on the TAG systems. Monthly Rental Fees are paid by those customers that rent the TAG system hardware. The amount of a customer’s monthly payment varies based on the type of equipment rented (a TAG, a TAG and TEXT, or a TAG and TOUCH). Advertising Revenue is a source of revenue that has not been taken full advantage of. We believe it has the potential to be strategic for us in the future. Currently, courses can deliver their own advertising to our TOUCH units and soon we’ll be introducing our R3 program which automates the delivery of advertising. The market for the TAG System is the worldwide golf cart and Turf equipment fleets. There are 40,000 golf courses around the world with North America being the largest individual market with 20,000. This represents over 3,000,000 vehicles. The golf market has five distinct types of operations. Municipal, Private Country Clubs, Destination Resorts, Public Commercial, Military and University affiliated. DSG has deployed and has case studies developed TAG systems in each of these categories. Our marketing strategy is focused on building brand awareness, generating quality leads, and providing excellent customer service. Since the largest market is North America the company employs a direct sales team and Sales Agents that provides full sales coverage. Our Sales Agents are experienced golf industry professionals who maintain established relationships with the golf industry and carry multiple golf lines. Our sales objective is to offer our existing and prospective customers a dedicated, knowledgeable, and outstanding customer service team. DSG focuses on select global golf markets that offer significant volume opportunities and that value the benefits that our products deliver. We utilize strategic distributor partnerships in each targeted region/country to sell, install and service our products. Distributors are selected based on market strength, market share, technical and selling capability, and overall reputation. We believe that DSG solutions appeal to all distributors because they are universal and fit any make or model of vehicle. We maintain and leverage our strong relationship with Yamaha, E-Z-GO and Ransomes Jacobsen (sister company to E-Z-GO) in developing our distributor network around the world. Today, many of our distributor partners are the leading distributors for E-Z-GO and RJ and hold a dominant position in their respective markets. While they are Yamaha or E-Z-GO distributors, most sell DSG products to all courses regardless of their choice of golf car as a value add to their customers and to generate additional revenue. We complement this distributor base with independent distributors as needed to ensure we have sufficient coverage in critical markets. Currently DSG is focused on Europe, Asia and South Africa. The company is looking to expand next into Australia and Latin America. Many golf facilities are managed by management companies. The portfolios of these companies vary from a few to hundreds of golf courses. Troon®, the world’s largest player in golf course management, has over 200 courses under management. The management companies provide everything from branding, staffing, management systems, marketing, and procurement. DSG is currently providing products and services to Troon, OB Sports, Kemper Sports, Trump, Marriott Golf, Blue Green, Crown Golf, American Golf, Billy Casper, Club Corp, and Club Link. DSG has been successful in completing installations and developing relationships with several of the key players who control a substantial number of courses. DSG will continue to implement system developments that are driven by the needs of these management companies such as combined reporting, multiple course access through a centralized dashboard. This development will become a competitive advantage for DSG in the management company market. DSG has dedicated a team to create specific collateral for this market and has assigned a senior executive to have direct responsibility to manage these relationships. ● increase our financial resources. However, there can be no assurance that even if we do these things we will be able to compete effectively with the other companies in our industry. We believe that we will be able to compete effectively in our industry because of the versatility, reliability, and relative affordability of our products when compared to those of our competitors. We will attempt to build awareness of our competitive advantages among existing and potential customers through trade shows, sales visits and demonstrations, online marketing, and positive word of mouth advertising. However, as we are newly-established company relative to our competitors, we face the same problems as other new companies starting up in an industry, such as limited access to capital. Our competitors may be substantially larger and better funded than us, and have significantly longer histories of research, operation and development than us. In addition, they may be able to provide more competitive products than we can and generally be able to respond more quickly to new or emerging technologies and changes in legislation and regulations relating to the industry. Additionally, our competitors may devote greater resources to the development, promotion and sale of their products or services than we do. Increased competition could also result in loss of key personnel, reduced margins or loss of market share, any of which could harm our business. Our primary competitor in the field of golf course fleet management is GPS Industries, a company that was founded in 1996 by Mr. Bob Silzer, the founder of DSG TAG Systems. GPS Industries is currently the largest player in the marketplace with an installed base of approximately 750 golf courses worldwide. GPS Industries was consolidated by various mergers and acquisitions with a diversity of hardware platforms and application software. Since 2009, when GPS Industries has introduced their latest product offering called the Visage, in an exclusive partnership with Club Car, their strategy has been to target mostly their existing customers and motivate them into replacing their existing, older GPS system, with the Visage system. GPS Industries is leveraging very heavily their partnership with Club Car, which is one of the three largest golf cars manufacturers in the world and at times is benefiting from golf operators’ preference for Club Car and their vehicles when they select their management system. Since the introduction of the DSG product line, the golf course operators realized that they have now access to a budget-friendly fleet management tool that works not only on golf cars but also with all other vehicles used on the golf course such as turf maintenance, shuttles, and other utility vehicles. Marketing studies have identified that half of the golf course operators only need a fleet management system and only 15% need a high-end GPS golf system. This illustrates the strong competitive advantage that DSG TAG Systems has versus GPS Industries since their product can only address the needs of a relatively small fraction of the marketplace. Consequently, GPS Industries installed base has steadily declined since most of their new product installations have replaced older product for existing customers and some customers have opted for a lower budget system and switched over to DSG TAG Systems. The company has a multi layered approach marketing the TAG suite of products. One of the foundations of this plan is attending industry trade shows which are well attended by golf operators. The two largest shows are the PGA Merchandise Show and the Golf Industry Show which are held in Florida at the end of January. The company also attends a number of regional shows around North America. International events are attended by our distributors and partners. The second layer is memberships in key organizations such as the National Golf Course Owners Association, Golf Course Superintendents Association, and Club Managers Association of America. These are very influential in the industry and have marketing channels such as publications, email blasts, and web based marketing. The company also markets directly to course operators through email, surveys direct mail programs. One of the primary sources of lead generation is through the company’s strategic partnerships with EZ-GO, Yamaha, and Ransomes Jacobson. These relationships provide the company with a great deal of market intelligence. The sales forces of the partners work in tandem with the DSG sales team by passing on the leads, creating joint proposals, and distributing TAG sales material. The company has also created co-branded materials for specific value items of interest to operators such as Pace of Play solutions. DSG sale s and marketing staff attend partner sales events to conduct training and discuss marketing strategies. The company is in the process of testing an internal telemarketing program in several key markets to gauge whether this particular channel warrants larger scale implementation. One of the “heroes” of the TAG System is providing the course operator a range of modular fleet management options that are very competitively priced. Pricing options range from the TURF, TAG, Text, and Touch System, giving the customer a wide range of pricing options. DSG has the distinctive advantage of being able to offer a true fleet management system, encompassing all the vehicles on the golf course not just the golf carts. Due to the modular nature of the system, customers have now the option to configure their system’s configuration to match exactly their needs and their budget. DSG products are the robust, reliable, and user friendly systems in the world. DSG is the only company currently providing systems that are waterproof with internal batteries to ensure our partners retain the full golf cart manufacturer’s warranty. In order to maintain high product quality and control, as well as benefiting from cost savings, the company is currently procuring all main hardware components offshore. Final assembly is locally performed in order to ensure product quality. Other main components are also procured directly from manufacturers or from local suppliers that outsource components office in order to keep the price as low as possible. The company is requesting the suppliers to perform a complete set of quality testing and minimum 24 hours’ burn-in before the product is delivered. The local hardware assembler and components supplier offers 12 months’ warranty. The main hardware components offshore supplier offers a warranty plan of 15 months from the date the product is shipped. With an extended 90 days beyond the current warranty, such repair service would be paid by the supplier except for component replacement costs, which would be paid by DSG. Another important activity related to the management of the product supply chain is working closely with the suppliers and ensuring that we have alternate sources for the main components and identify well in advance any components that may go “end-of-life” and find suitable replacements before product shortages may occur. The Company has implemented strict inventory management procedures that govern the inbound flow of products from suppliers, the outgoing flow to customers as well as the internal movement of inventory between warehouses (Canada, US and UK). There are also procedures in place to control the flow of equipment returning from customers for repairs and their replacements. The Company is utilizing a small number of its own field engineers, geographically positioned to be in close proximity of areas with high concentrations of current and future customers. Occasionally, when new installations exceed the internal capacity, the company employs a number of external contractors, on a project by project basis. Each contractor has been trained extensively to perform product installations and the Company has created an extensive collection of Installation Manuals for all products and vehicle types. The product was designed with ease of installation as one of its features. Additionally, the installation process includes a pre-shipping configuration process that prepares each device with all the settings and graphics content (if applicable) required for the specific location it will be deployed. This makes the installation process a lot simpler and less time consuming in the field which reduces costs (accommodations, food, travel) for internal staff as well as external contractor cost (less billable time). Another benefit of the simplified installation procedure is increased scalability in anticipation of increased number of installs in the future by reducing the skill level and training time requirements for additional contractors. The company has deployed its Customer Service staff strategically, so it has at least one service representative active during business hours in North America, Europe and South Africa. The company is handling Customer Service directly in North America and UK, offering telephone and on-line support to end-customers. In other international markets, the first-line customer service is handled by local distributor’s staff while DSG is supplying training and more advanced support to the distributors. For the management of the customer service activities, the company is utilizing SalesForce.com CRM system which allows creating, updating, closing and escalation of service cases, including the issuance of RMA (Return Material Authorization) numbers for defective equipment. Using SalesForce.com also allows generation of management reports for service issues, customer satisfaction, and equipment failures in order to quickly identify trends, problem accounts or systemic issues. In addition, DSG will begin to offer the DSG Par 72 Service & Support Plan to guarantee service and support to client courses in the golf business, this program will be available April 2016. This new program for client courses will guarantee service and support program within 24 hours of a problem arising. The company employs a team of software engineers in house to develop and maintain the main components of the server software and firmware. All product development is derived from business needs assessment and customer requests. The Product Manager is reviewing periodically the list of feature requests with the Sales, establishes priorities and updates the Product Roadmap. The software engineers are also responsible for developing specialized tools and systems utilized increase efficiency in the operation of the company. These projects include functionality such as: automated system monitoring, automatic service alerts, improved remote troubleshooting tools, cellular data monitoring and reporting. All these tools are critical in future ability to support more customers with less resources, streamline support, and improve internal efficiency. All hardware development (electronics and mechanical) is generally outsourced, however small projects like mounting solutions or cabling are handled in house. On January 22, 2016, DSG TAG entered into a short-term loan agreement with Jeremy Yaseniuk for CAD$337,172 or USD$250,000, payable in either currency at the exchange rate of 1.35. The maturity date of the agreement is no more than six months of the agreement or July 22, 2016. The loan amount bears an interest rate of 10% per annum which shall be payable on the on the maturity date with minimum interest of $25,000. On January 25, 2016, DSG TAG signed a Letter of Intent for exclusive work rights in golf courses and gated communities for Mullen Golf Cars of Mullen Technologies, Inc. DSG has the exclusive rights to offer models 100e 2 seater, 2 door 4 seater, the 100 e4 and any new Mullen golf worthy SLV to the gated communities known as The Villages, Florida, USA. On March 5, 2016, by letter agreement dated December 31, 2015 with Westergaard Holdings Ltd., a corporation owned by a former director of the Company, we amended the Subscription and Debt Settlement Agreement dated September 26, 2014 between DSG Tag Systems, Inc. and Westergaard Holdings, as previously amended on October 4, 2015. Westergaard Holdings owns 4,229,384 shares Series A Convertible Preferred Stock of DSG TAG. Pursuant to the settlement agreement, the parties have agreed that DSG Global will complete financings for gross proceeds of at least $10 million and use a portion of the proceeds to redeem all of the Series A Convertible Preferred Shares. The letter agreement modifies the redemption provisions of the original agreement, which now obligate us to raise capital and redeem the Series A Convertible Preferred Shares at a price of $1.25 per share as follows: (i) on or before May 1, 2016, DSG Global must complete a financing for gross proceeds of at least $2.5 million and use at least $1.125 million to redeem a minimum of 900,000 Series A Shares; (ii) on or before June 1, 2016, DSG Global must complete an additional financing for gross proceeds of at least $2.5 million and use at least $1.125 million to redeem a minimum of 900,000 additional Series A Shares; and (iii) on or before July 1, 2016, DSG Global must complete an additional financing for gross proceeds of at least $5.0 million and use at least $3.04 million to redeem the remaining 2,429,384 Series A Shares. On March 31, 2016, DSG TAG signed a promissory note for $54,000 CAD. The terms are payable on or before April 30th, 2016 to the order of E. Gary Risler, together with interest of 6% per annum simple interest. Interest will be accrued and payable at the time of promissory note repayment. Security for this note will $150,000 CAD of Tag, Touch, and Text inventory currently owed by DSG TAG. On April 6, 2016, DSG TAG entered into a loan agreement with Westergaard Holdings Ltd. a corporation owned by a former director of the Company, pursuant to which we raised proceeds of $120,000 CAD. DSG TAG agrees to pay the loan plus fees no later than the final due date of July 6, 2016. The fees for service are as follows: (a) DSG TAG agrees to pay a fee for service equal to 5% of the amount of the loan or $6,000 CAD if the loan is paid in full, including fees on or before May 6, 2016; (b) DSG TAG agrees to pay a fee for service equal to 10% of the amount of the original loan, or $12,000 CAD if the loan is paid in full, including fees, between May 7, 2016 and June 5, 2016; and (c) DSG TAG agrees to pay a fee for service equal to 20% of the amount of the original loan, or $24,000 CAD if the loan is paid full, including fees, between June 6, 2016 and July 5, 2016. DSG TAG agrees to pay partial payments towards the principal amount of the loan and fees. DSG TAG agrees that fees will be charged on the initial amount of the loan. On April 29, 2016 Westergaard Holdings Ltd., an affiliate of a member of our board of directors and a shareholder of the Company, amended the Subscription / Debt Settlement Agreement dated September 26, 2014 between DSG TAG and Westergaard Holdings, as previously amended. Westergaard Holdings owns 4,229,384 Series A Shares. Pursuant to the settlement agreement, DSG TAG has agreed that DSG Global Inc. will complete financings for gross proceeds of at least $10 million and use a portion of the proceeds to redeem all of the Series A Shares. The letter agreement modifies the redemption provisions, which now obligate the Company to raise capital and redeem the Series A Shares at a price of $1.25 per share as follows: (i) on or before August 1, 2016, the Company must complete a financing for gross proceeds of at least $2.5 million and use at least $1.125 million to redeem a minimum of 900,000 Series A Shares; (ii) on or before September 1, 2016, the Company must complete an additional financing for gross proceeds of at least $2.5 million and use at least $1.125 million to redeem a minimum of 900,000 additional Series A Shares; and (iii) on or before October 1, 2016, the Company must complete an additional financing for gross proceeds of at least $5.0 million and use at least $3.14 million to redeem the remaining 2,429,384 Series A Shares. On August 5, 2016, DSG Global signed a convertible note agreement for $150,000 USD. The term of the note is 45 days from the date of contract with interest accrued at 2% per month. The principal and interest will be repaid in full by way of cash repayment or Class A common shares. On November 7, 2016, we entered into a securities purchase agreement with Coastal Investment Partners. Pursuant to the agreement, Coastal Investment provided us with cash proceeds of $125,000 on November 10, 2016. In exchange, we issued a secured convertible promissory note in the principal amount of $138,888.89 (the “$138,888.89 Note”), inclusive of an 8% original issue discount, which bears interest at 8% per annum to the holder. The $138,888.89 Note matures six months from issuance and is convertible at the option of the holder into our common shares at a price per share that is the lower of $0. 12 or the closing price of our common stock on the conversion date. In addition, under the same terms, the company also issued a secured convertible note of $50,000 in consideration of cash proceeds of $10,000 and another secured convertible note of $75,000 in consideration of cash proceeds of $10,000. On December 6, 2016, a convertible loan was received from Brent Silzer in the amount of $29,791 (CAD $40,000). Interest is 8% annual rate for one month and 4% monthly rate thereafter if not paid by January 15, 2017. The note is convertible, in whole or in part, at $0.05 per share. On December 21, 2016, we entered into a convertible note agreement for the principal amount of $74,500. The terms are payable at the date of maturity, December 21, 2017, together with interest of 12% per annum. Interest will be accrued and payable at the time of promissory note repayment. The Holder shall have the right to convert all or any part of the outstanding and unpaid principal amount into fully paid and non-assessable shares of Common Stock at a conversion price equal to the lessor of (i) the closing sale price of the Common Stock on the Principal Market on the Trading Day immediately preceding the Closing Date, and (ii) 50% of the lowest sale price for the Common Stock on the Principal Market during the twenty five (25) consecutive Trading Days immediately preceding the Conversion Date. On January 3, 2017, we entered into an investor relations agreement with Chesapeake Group Inc., to assist in all phases of our investor relations including broker/dealer relations. The contract will commence on January 3, 2017 and end on July 2, 2017. In consideration for the agreement, we are committed to providing 1,800,000 restricted common shares within 10 days of the agreement, plus an additional 450,000 restricted common shares representing a monthly fee of $3,750. These restricted common shares are to be issued in monthly installments of 75,000 restricted common shares on the 2nd of each month beginning on February 2, 2017 and ending on July 2, 2017. On January 18, 2017, we issued a convertible promissory note in the principal amount of $75,000. The terms are payable at the date of maturity, October 18, 2017, together with interest of 12% per annum. Interest will be accrued and payable at the time of promissory note repayment. The Holder shall have the right to convert all or any part of the outstanding and unpaid principal amount into fully paid and non-assessable shares of Common Stock at a conversion price equal to the lessor of (i) 60% multiplied by the lowest Trading Price (representing a discount rate of 40%) during the previous twenty five (25) Trading Day period ending on the latest complete Trading Day prior to the date of this Note and (ii) the Variable Conversion Price which means 50% multiplied by the lowest Trading Price (representing a discount rate of 50%) during the previous twenty five (25) Trading Day period ending on the latest complete Trading Day prior to the Conversion Date. On March 15, 2017, we entered into a Securities Purchase Agreement, pursuant to which the Company agreed to issue 500,000 common shares of the Company at a price of $0.10 per share for aggregate consideration of $50,000. On April 3, 2017, we issued a convertible promissory note in the principal amount of $110,000. The terms are payable at the date of maturity, October 3, 2017, together with interest of 10% per annum. Interest will be accrued and payable at the time of promissory note repayment. In connection with the issuance of this convertible promissory note, the Borrower shall issue 550,000 shares of common stock as a commitment fee provided, however, these shares must be returned if the Note is fully repaid and satisfied prior to the date which is 180 days following the issuance. The Holder shall have the right to convert all or any part of the outstanding and unpaid principal amount into fully paid and non-assessable shares of Common Stock at a conversion price equal to the lessor of (i) 55% multiplied by the lowest Trading Price (representing a discount rate of 45%) during the previous twenty five (25) Trading Day period ending on the latest complete Trading Day prior to the date of this Note and (ii) the Alternate Conversion Price which means 55% multiplied by the lowest Trading Price (representing a discount rate of 45%) during the previous twenty five (25) Trading Day period ending on the latest complete Trading Day prior to the Conversion Date. On June 5, 2017, we issued a convertible promissory note in the principal amount of $110,000. The terms are payable at the date of maturity, December 5, 2017, together with interest of 10% per annum. Interest will be accrued and payable at the time of promissory note repayment. The Holder shall have the right to convert all or any part of the outstanding and unpaid principal amount into fully paid and non-assessable shares of Common Stock at a conversion price equal to the lessor of (i) eight cents ($0.08) or (ii) the Alternate Conversion Price which means 55% multiplied by the lowest Trading Price (representing a discount rate of 45%) during the previous twenty five (25) Trading Day period ending on the latest complete Trading Day prior to the Conversion Date. On July 17, 2017, we issued a convertible promissory note in the principal amount of $135,000. The terms are payable at the date of maturity, July 17 2018, together with interest of 10% per annum. Interest will be accrued and payable at the time of promissory note repayment. The Holder shall have the right to convert all or any part of the outstanding and unpaid principal amount into fully paid and non-assessable shares of Common Stock at a conversion price equal to the lessor of (i) six cents ($0.06) or (ii) 55% of (representing a 45% discount) to the lowest Trading during the previous twenty (20) Trading Day period ending on the latest complete Trading Day prior to the Conversion Date. On August 16, 2017, we issued a convertible promissory note in the principal amount of $110,250. The terms are payable at the date of maturity, August 16 2018, together with interest of 8% per annum. Interest will be accrued and payable at the time of promissory note repayment. The Holder shall have the right to convert all or any part of the outstanding and unpaid principal amount into fully paid and non-assessable shares of Common Stock at a conversion price equal to (i) 58% of the the lowest Trading during the previous ten (10) Trading Day period ending on the latest complete Trading Day prior to the Conversion Date. On September 6, 2017, we issued a convertible promissory note in the principal amount of $107,000. The terms are payable at the date of maturity, March 6, 2018, together with interest of 10% per annum. Interest will be accrued and payable at the time of promissory note repayment. The Holder shall have the right to convert all or any part of the outstanding and unpaid principal amount into fully paid and non-assessable shares of Common Stock at a conversion price equal to the lessor of (i) three cents ($0.03) and (ii) lowest Trading Price during the previous twenty five (25) Trading Day period ending on the latest complete Trading Day prior to the Conversion Date. On October 30, 2017, we issued a convertible promissory note in the principal amount of $107,000. The terms are payable at the date of maturity, April 30, 2018, together with interest of 10% per annum. Interest will be accrued and payable at the time of promissory note repayment. The Holder shall have the right to convert all or any part of the outstanding and unpaid principal amount into fully paid and non-assessable shares of Common Stock at a conversion price equal to the lessor of (i) $0.004 or (ii) lowest Trading Price during the previous twenty five (25) Trading Day period ending on the latest complete Trading Day prior to the Conversion Date. On December 18, 2017, we issued a convertible promissory note in the principal amount of $82,000. The terms are payable at the date of maturity, June 18, 2018, together with interest of 10% per annum. Interest will be accrued and payable at the time of promissory note repayment. The Holder shall have the right to convert all or any part of the outstanding and unpaid principal amount into fully paid and non-assessable shares of Common Stock at a conversion price equal to the lessor of (i) $0.003 or (ii) lowest Trading Price during the previous twenty five (25) Trading Day period ending on the latest complete Trading Day prior to the Conversion Date. On February 15, 2017, DSG TAG signed an additional six-month extension on the current lease. The term will begin on February 1, 2017 and end on July 31, 2017. Currently space is leased on a month to month basis. On January 21, 2016, DSG entered into a three-month Lease Agreement regarding the lease DSG’s offices located at 5455-152nd Street, Surrey, British Columbia. Pursuant to the agreement DSG has leased the approximately 2,957 square foot space on a month to month basis at the rate of CAD$5,518.63 (approximately USD $4,087.87) per month. DSG may terminate the lease with 30 days’ notice. On April 7, 2016, DSG has signed an additional two-month extension on the current lease at 214-5455 152nd Avenue, Surrey, BC, V3S 5A5. The term will on May 1, 2016 and end on July 31, 2016. During the year ended December 31, 2016, the lease was extended and will expire on January 31, 2017. On February 15, 2017, an additional six-month extension on the lease was signed with the term beginning on February 1, 2017 and ending on July 31, 2017. Currently space is leased on a month to month basis. For the year ended December 31, 2017, the aggregate rental expense was CAD$92,913. Rent expense included other amounts paid in Canada for warehouse storage and offices under month to month or as needed basis. Our success will depend in part on our ability to protect our products and product candidates by obtaining and maintaining a strong proprietary position both in the United States and in other countries. To develop and maintain our proprietary position, we will rely on patent protection, trade secrets, know-how, continuing technological innovations and licensing opportunities. In that regard, we retain and rely on the advice of legal counsel specialized in the field of intellectual property. ● US Patent No. 8,836,490 for a “Vehicle Management” was issued September 16, 2014 and expires June 29, 2031. ● US Patent No. 9,280,902 for a “Facilities Management” was issued March 8, 2016 and expires January 24, 2032. We have registered and own the domain name of our website www.dsgtag .com. We own the common law copyright in the contents of our website (www.dsgtag.com.) and our various promotional materials. We own the common-law trademark rights in our corporate name, product names, and associated logos, including “DSG TAG”, “TAG Golf”, “ECO TAG”, “TAG Text”, “TAG Touch”, “TAG Turf”, “TAG Commercial” and “TAG Military”. We have not applied to register any trademarks with the U.S. Patent and Trademark Office. As of April 18, 2018, we have 6 full-time employees in general and administrative, operations, engineering, research and development, business development, sales and marketing, and finance. We also engage independent contractors and consultants from time to time on an as-needed basis to supplement our core staff. Investing in our common stock involves a high degree of risk. You should carefully consider the risks and uncertainties described below, together with all of the other information in this Form 10-K, including our consolidated financial statements and related notes, before investing in our common stock. If any of the following risks materialize, our business, financial condition, results of operations and prospects could be materially and adversely affected. In that event, the price of our common stock could decline, and you could lose part or all of your investment. We have a limited operating history with significant losses and expect losses to continue for the foreseeable future. We have yet to establish any history of profitable operations and have incurred net losses since our inception. We have generated only nominal revenues since our inception and do not anticipate that we will generate revenues which will be sufficient to sustain our operations in the near future. Our profitability will require the successful commercialization and sales of our products. We may not be able to successfully achieve any of these requirements or ever become profitable. There is doubt about our ability to continue as a going concern due to recurring losses from operations, accumulated deficit and insufficient cash resources to meet our business objectives, all of which means that we may not be able to continue operations. Our independent auditors have added an explanatory paragraph to their audit opinion issued in connection with the financial statements for the years ended December 31, 2017 and 2016 with respect to their doubt about our ability to continue as a going concern. As discussed in Note 2 to our financial statements for the years ended December 31, 2017 and 2016, we have generated operating losses since inception, and our cash resources are insufficient to meet our planned business objectives, which together raise doubt about our ability to continue as a going concern. Our inability to complete our future research and development and engineering projects in a timely manner could have a material adverse effect of our results of operations, financial condition and cash flows. ● delay in obtaining future inflow of cash from financing or partnership activities. We face intense competition, which could result in lower revenues and higher research and development expenditures and could adversely affect our results of operations. Unless we keep pace with changing technologies, we could lose existing customers and fail to win new customers. In order to compete effectively in the fleet management systems market, we must continually design, develop and market new and enhanced technologies. Our future success will depend, in part, upon our ability to address the changing and sophisticated needs of the marketplace. Fleet management technologies have achieved widespread commercial acceptance and our strategy of expanding our fleet management technologies business could adversely affect our business operations and financial condition. Further, we expect to derive revenue from government contracts, which are often non-standard, involve competitive bidding, may be subject to cancellation with or without penalty and may produce volatility in earnings and revenue. The market for our technologies is still developing and if the industry adopts technology standards that are different from our own our competitive position would be negatively affected. Parts of our company’s business plan are dependent on business relationships with various parties. We expect to rely in part upon original equipment manufacturers (OEM), and distribution partners to sell and install our products, and we may be adversely affected if those parties do not actively promote our products or pursue installations that use our products. Further, if our products are not timely delivered or do not perform as promised, we could experience increased costs, lower margins, liquidated damage payment obligations and reputational harm. We must attract and maintain key personnel, or our business will fail. Success depends on the acquisition of key personnel. We will have to compete with other companies both within and outside the electronics industry to recruit and retain competent employees. If we cannot maintain qualified employees to meet the needs of our anticipated growth, this could have a material adverse effect on our business and financial condition. We may not be able to secure additional financing to meet our future capital needs due to changes in general economic conditions. We anticipate requiring significant capital to fulfill our contractual obligations, continue development of our planned products to meet market evolution, and execute our business plan, generally. We may use capital more rapidly than currently anticipated and incur higher operating expenses than currently expected, and we may be required to depend on external financing to satisfy our operating and capital needs. We may need new or additional financing in the future to conduct our operations or expand our business. Any sustained weakness in the general economic conditions and/or financial markets in the United States and Europe, or globally could adversely affect our ability to raise capital on favorable terms or at all. From time to time we have relied, and may also rely in the future, on access to financial markets as a source of liquidity to satisfy working capital requirements and for general corporate purposes. We may be unable to secure debt or equity financing on terms acceptable to us, or at all, at the time when we need such funding. If we do raise funds by issuing additional equity or convertible debt securities, the ownership percentages of existing stockholders would be reduced, and the securities that we issue may have rights, preferences or privileges senior to those of the holders of our common stock or may be issued at a discount to the market price of our common stock which would result in dilution to our existing stockholders. If we raise additional funds by issuing debt, we may be subject to debt covenants, which could place limitations on our operations including our ability to declare and pay dividends. Our inability to raise additional funds on a timely basis would make it difficult for us to achieve our business objectives and would have a negative impact on our business, financial condition and results of operations. Our business and operating results could be harmed if we fail to manage our growth or change. Our business may experience periods of rapid change and/or growth that could place significant demands on our personnel and financial resources. To manage possible growth and change, we must continue to try to locate skilled engineers and professionals and adequate funds in a timely manner. Our business depends on GPS technology owned and controlled by others. If we do not have continued access to GPS technology, we will be unable to deliver our services and our revenues will decrease. Our services rely on signals from GPS satellites built and maintained by the U.S. Department of Defense. GPS satellites and their ground support systems are subject to electronic and mechanical failures and sabotage. If one or more satellites malfunction, there could be a substantial delay before they are repaired or replaced, if at all, and our services may cease, and customer satisfaction would suffer. Our GPS technology depends on the use of radio frequency spectrum controlled by others. Our GPS technology is dependent on the use of radio frequency spectrum. The assignment of spectrum is controlled by an international organization known as the International Telecommunications Union, or ITU. The Federal Communications Commission, or FCC, is responsible for the assignment of spectrum for non-government use in the United States in accordance with ITU regulations. Any ITU or FCC reallocation of radio frequency spectrum, including frequency band segmentation or sharing of spectrum, could cause interference with the reception of GPS signals and may materially and adversely affect the utility and reliability of our products, which would, in turn, cause a material adverse effect on our operating results. In addition, emissions from mobile satellite service and other equipment operating in adjacent frequency bands or in band may materially and adversely affect the utility and reliability of our products, which could result in a material adverse effect on our operating results. Government regulations and standards may harm our business and could increase our costs or reduce our opportunities to earn revenues. In addition to regulations applicable to businesses in general, we may also be subject to direct regulation by governmental agencies, including the FCC and Department of Defense. A number of legislative and regulatory proposals under consideration by federal, state, provincial, local and foreign governmental organizations may lead to laws or regulations concerning various aspects of wireless communications and GPS technology. Additionally, it is uncertain how existing laws governing issues such as taxation, intellectual property, libel, user privacy and property ownership, will be applied to our services. The adoption of new laws or the application of existing laws may expose us to significant liabilities and additional operational requirements, which could decrease the demand for our services and increase our cost of doing business. If we are not able to adequately protect our intellectual property, then we may not be able to compete effectively, and we may not be profitable. Our commercial success may depend, in part, on obtaining and maintaining patent protection of our technologies and product as well as successfully defending third-party challenges to such technologies and products. We will be able to protect our technologies and product candidates from use by third parties only to the extent that valid and enforceable patents cover them and we have exclusive rights to use them. The ability of our licensors, collaborators and suppliers to maintain their patent rights against third-party challenges to their validity, scope or enforceability will also play an important role in determining our future. The copyright and patent positions of software and technology related companies can be highly uncertain and involve complex legal and factual questions that include unresolved principles and issues. No consistent policy regarding the breadth of claims allowed regarding such companies’ patents has emerged to date in the United States, and the patent situation outside the United States is even more uncertain. Changes in either the patent laws or in interpretations of patent laws in the United States or other countries may diminish the value of our intellectual property. Accordingly, we cannot predict with any certainty the range of claims that may be allowed or enforced concerning our patents. We may also rely on trade secrets to protect our technologies, especially where we do not believe patent protection is appropriate or obtainable. However, trade secrets are difficult to protect. While we seek to protect confidential information, in part, through confidentiality agreements with our consultants and scientific and other advisors, they may unintentionally or willfully disclose our information to competitors. Enforcing a claim against a third party related to the illegal acquisition and use of trade secrets can be expensive and time consuming, and the outcome is often unpredictable. If we are not able to maintain patent or trade secret protection on our technologies and product candidates, then we may not be able to exclude competitors from developing or marketing competing products, and we may not be able to operate profitability. If we are the subject of an intellectual property infringement claim, the cost of participating in any litigation could cause us to go out of business. There has been, and we believe that there will continue to be, significant litigation and demands for licenses in our industry regarding patent and other intellectual property rights. Although we anticipate having a valid defense to any allegation that our current products, production methods and other activities infringe the valid and enforceable intellectual property rights of any third parties, we cannot be certain that a third party will not challenge our position in the future. Other parties may own patent rights that we might infringe with our products or other activities, and our competitors or other patent holders may assert that our products and the methods we employ are covered by their patents. These parties could bring claims against us that would cause us to incur substantial litigation expenses and, if successful, may require us to pay substantial damages. Some of our potential competitors may be better able to sustain the costs of complex patent litigation, and depending on the circumstances, we could be forced to stop or delay our research, development, manufacturing or sales activities. Any of these costs could cause us to go out of business. Trading on the OTCQB® Venture Marketplace may be volatile and sporadic, which could depress the market price of our common stock and make it difficult for our stockholders to resell their shares. Our common stock is quoted on the OTCQB Venture Marketplace operated by the OTC Markets Group. Trading in stock quoted on the OTCQB is often thin and characterized by wide fluctuations in trading prices due to many factors that may have little to do with our operations or business prospects. This volatility could depress the market price of our common stock for reasons unrelated to operating performance. Moreover, the OTCQB is not a stock exchange, and trading of securities on the OTCQB is often more sporadic than the trading of securities listed on a stock exchange like the Nasdaq Stock Market or New York Stock Exchange. Accordingly, our shareholders may have difficulty reselling any of their shares. Our stock is a penny stock. Trading of our stock may be restricted by the SEC’s penny stock regulations and FINRA’s sales practice requirements, which may limit a stockholder’s ability to buy and sell our stock. Our stock is a penny stock. The Securities and Exchange Commission has adopted Rule 15g-9 which generally defines “penny stock” to be any equity security that has a market price (as defined) less than $5.00 per share or an exercise price of less than $5.00 per share, subject to certain exceptions. Our securities are covered by the penny stock rules, which impose additional sales practice requirements on broker-dealers who sell to persons other than established customers and “accredited investors”. The term “accredited investor” refers generally to institutions with assets in excess of $5,000,000 or individuals with a net worth in excess of $1,000,000 or annual income exceeding $200,000 or $300,000 jointly with their spouse. The penny stock rules require a broker-dealer, prior to a transaction in a penny stock not otherwise exempt from the rules, to deliver a standardized risk disclosure document in a form prepared by the SEC which provides information about penny stocks and the nature and level of risks in the penny stock market. The broker-dealer also must provide the customer with current bid and offer quotations for the penny stock, the compensation of the broker-dealer and its salesperson in the transaction and monthly account statements showing the market value of each penny stock held in the customer’s account. The bid and offer quotations, and the broker-dealer and salesperson compensation information, must be given to the customer orally or in writing prior to effecting the transaction and must be given to the customer in writing before or with the customer’s confirmation. In addition, the penny stock rules require that prior to a transaction in a penny stock not otherwise exempt from these rules; the broker-dealer must make a special written determination that the penny stock is a suitable investment for the purchaser and receive the purchaser’s written agreement to the transaction. These disclosure requirements may have the effect of reducing the level of trading activity in the secondary market for the stock that is subject to these penny stock rules. Consequently, these penny stock rules may affect the ability of broker-dealers to trade our securities. We believe that the penny stock rules discourage investor interest in, and limit the marketability of, our common stock. In addition to the “penny stock” rules promulgated by the Securities and Exchange Commission, FINRA has adopted rules that require that in recommending an investment to a customer, a broker-dealer must have reasonable grounds for believing that the investment is suitable for that customer. Prior to recommending speculative low priced securities to their non-institutional customers, broker-dealers must make reasonable efforts to obtain information about the customer’s financial status, tax status, investment objectives and other information. Under interpretations of these rules, FINRA believes that there is a high probability that speculative low-priced securities will not be suitable for at least some customers. FINRA requirements make it more difficult for broker-dealers to recommend that their customers buy our common stock, which may limit your ability to buy and sell our stock. We do not anticipate paying any cash dividends to our common shareholders. We presently do not anticipate that we will pay dividends on any of our common stock in the foreseeable future. If payment of dividends does occur at some point in the future, it would be contingent upon our revenues and earnings, if any, capital requirements, and general financial condition. The payment of any common stock dividends will be within the discretion of our Board of Directors. We presently intend to retain all earnings after paying the interest for the preferred stock, if any, to implement our business plan; accordingly, we do not anticipate the declaration of any dividends for common stock in the foreseeable future. The Elimination of Monetary Liability Against our Directors, Officers and Employees under Nevada law and the Existence of Indemnification Rights of our Directors, Officers and Employees May Result in Substantial Expenditures by our Company and may Discourage Lawsuits Against our Directors, Officers and Employees. Our articles of incorporation do not contain any specific provisions that eliminate the liability of our directors for monetary damages to our company and shareholders; however, we are prepared to give such indemnification to our directors and officers to the extent provided for by Nevada law. We may also have contractual indemnification obligations under our employment agreements with our officers. The foregoing indemnification obligations could result in our company incurring substantial expenditures to cover the cost of settlement or damage awards against directors and officers, which we may be unable to recoup. These provisions and resultant costs may also discourage our company from bringing a lawsuit against directors and officers for breaches of their fiduciary duties and may similarly discourage the filing of derivative litigation by our shareholders against our directors and officers even though such actions, if successful, might otherwise benefit our company and shareholders. Our principal executive office is located at 214 - 5455 152nd Street, Surrey, BC, V3S 5A5 Canada, where we lease approximately 2,957 square feet of office space. On February 15, 2017, an additional six-month extension on the lease was signed with the term beginning on February 1, 2017 and ending on July 31, 2017. Currently space is leased on a month to month basis. A Director of the Company, representing their company Adore Creative Agency Inc. (Adore), has filed a notice of default on March 31, 2016, in regard to the related party convertible note on the financial statements of the Company. The note was issued in lieu of marketing services and has a maturity date of March 31, 2016. The Company has countersued Adore for failure to provide services as obligated under the terms and agreement of the convertible note, and in addition for damages as a result. On October 17, 2016, the Supreme Court of British Columbia made an order in relating to the above discussed lawsuit from a shareholder to recover a loan of CAD$100,000. The Company was ordered to repay the remaining loan plus costs in the amount of $77,589 to the shareholder in 14 monthly payments of $5,500 each plus $589 at the 15th month, starting February 15, 2017. On September 7, 2016, Chetu Inc. has filed a Complaint for Damage in Florida to recover unpaid invoice amounts of $27,335 plus interest of $4,939. The invoice was not paid due to a dispute that the Company did not think that vendor had delivered the service according to the agreement between the two parties. On February 9, 2017, the Company received a notice of default from Auctus Fund LLC (“Auctus”), on a 12% convertible promissory notes issued to the Company in the principal amount of $75,000. Auctus commenced a lawsuit against the Company on February 2, 2018 in the United States District Court, District of Massachusetts. Auctus alleges that the Company failed to honor a conversion notice under the terms of the Auctus notes, and thus giving rise to an event of default. Auctus seeks damages in excess of $306,681, which consists of the principal amount of the Auctus note, liquidated damages, and default interest, as well as ordering the Company to pay reasonable legal fees incurred by Auctus with respects to the lawsuit. This action is still pending. On May 24, 2017, the Company received a notice of default from Coastal Investment Partners LLC (“Coastal”), on three 8% convertible promissory notes issued to the Company in aggregate principal amount of $261,389. Coastal commenced a lawsuit against the Company on June 12, 2017 in the United States District Court, Southern District of New York. Coastal alleges that the Company failed to deliver shares of common stock underlying the Coastal notes, and thus giving rise to an event of default. Coastal seeks damages in excess of $250,000 for breach of contact damages, as well as ordering the Company to pay reasonable legal fees incurred by Coastal with respects to the lawsuit. This action is still pending. We may, from time to time, be party to litigation and subject to claims incident to the ordinary course of business. As our growth continues, we may become party to an increasing number of litigation matters and claims. The outcome of litigation and claims cannot be predicted with certainty, and the resolution of any future matters could materially affect our future financial position, results of operations or cash flows. (1) Over-the-counter market quotations reflect inter-dealer prices without retail mark-up, mark-down or commission, and may not represent actual transactions. (2) The first trade of our common shares occurred on March 25, 2015. As of December 31, 2017, we had 72 holders of record of our common stock. The actual number of stockholders is greater than this number of record holders and includes stockholders who are beneficial owners but whose shares are held in street name by brokers and other nominees. We have never declared or paid cash dividends on our common stock. We currently intend to retain all available funds and any future earnings for use in the operation of our business and do not anticipate paying any dividends on our common stock in the foreseeable future, if at all. Any future determination to declare dividends will be made at the discretion of our board of directors and will depend on our financial condition, results of operations, capital requirements, general business conditions and other factors that our board of directors may deem relevant. DSG Global, Inc. is a technology development company based in Surrey, British Columbia, Canada, engaged in the design, manufacture, and marketing of fleet management solutions for the golf industry, as well as commercial, government and military applications. Our principal activities are the sale and rental of GPS tracking devices and interfaces for golf vehicles, and related support services. We were founded by a group of individuals who have dedicated their careers to fleet management technologies and have been at the forefront of the industry’s most innovative developments, and our executive team has over 50 years of experience in the design and manufacture of wireless, GPS, and fleet tracking solutions. We have developed the TAG suite of products that we believe is the first completely modular fleet management solution for the golf industry. The TAG suite of products is currently sold and installed around the world in golf facilities and as commercial applications through a network of established distributors and partnerships with some of the most notable brands in fleet and equipment manufacture. DSG stands for “Digital Security Guard”, which is our primary value statement giving fleet operator’s new capabilities to track and control their vehicles. We have developed a proprietary combination of hardware and software that is marketed around the world as the TAG system. We have primarily focused on the golf industry where the TAG system is deployed to help golf course operators manage their fleet of golf carts, turf equipment, and utility vehicles. We are a leader in the category of fleet management in the golf industry and were awarded “Best Technology of the Year” in 2010 by Boardroom magazine, a publication of the National Golf Course Owners Association. To date the TAG system is installed on over 8,000 vehicles and has been used to monitor over 6,000,000 rounds of golf. The TAG system fills a void in the marketplace by offering a modular structure that allows the customer to customize their system to meet desired functionality and budget constraints. 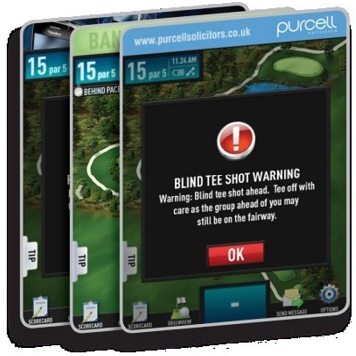 In addition to the core TAG system vehicle control functionality, which can operate independently, we offer two golfer information display systems — the alphanumeric TEXT and high definition TOUCH — providing the operator with two display options which is unique in the industry. The primary market for our TAG system is the 40,000 golf operations worldwide. While the golf industry remains the primary focus of our sales and marketing efforts, we have completed several successful pilots of the TAG system in other markets such as agriculture and commercial fleet operations. With appropriate resources, we intend to expand our sales and marketing efforts into these new markets. In order to successfully deliver products, increase sales, and maintain customer satisfaction, we need to have a reliable supplier of our hardware units and components at competitive prices. Presently, we source our TOUCH units from one supplier in China and our TAG units from one supplier in the United Kingdom. We have recently established a new relationship with a supplier for our TOUCH units in China to provide us with higher quality, newer technology at competitive pricing. In addition, DSG is currently in negotiations with a telecommunications provider to provide new technology in hardware and wireless access. We compete with a number of established producers and distributors of vehicle fleet management systems, as well as producers of non-golf specific utility vehicle fleet management systems. Many of our competitors have longer operating histories, better brand recognition and greater financial resources than we do. In order for us to successfully compete in our industry we must demonstrate our products’ competitive advantages, develop a comprehensive marketing system, and increase our financial resources. We believe that we will be able to compete effectively in our industry because of the versatility, reliability, and relative affordability of our products when compared to those of our competitors. We will attempt to build awareness of our competitive advantages among existing and potential customers through trade shows, sales visits and demonstrations, online marketing, and positive word of mouth advertising. However, there can be no assurance that even if we do these things we will be able to compete effectively with the other companies in our industry. We require additional capital to continue to develop software and products, meet our contractual obligations, and execute our business plan. There can be no assurances that we will be able to raise additional capital on acceptable terms or at all, which would adversely affect our ability to achieve our business objectives. Advertising Revenue is a new source of revenue that we believe has the potential to be strategic for us in the future. We are in the process of implementing and designing software to provide advertising and other media functionality on our TOUCH units. We recognize revenue when persuasive evidence of an arrangement exists, delivery has occurred, the fee is fixed or determinable, and collectability is reasonably assured. In instances where final acceptance of the product is specified by the customer, revenue is deferred until all acceptance criteria have been met. We accrue for warranty costs, sales returns, and other allowances based on its historical experience. Our revenue recognition policies are discussed in more detail under “Note 2 – Summary of Significant Accounting Policies” in the notes to our Consolidated Financial Statements included in Part I, Item 1 of this Form 10-K.
Our cost of revenue consists primarily of hardware purchases, wireless data fees, mapping, installation costs, freight expenses and inventory adjustments. Hardware purchases. Our equipment purchases consist primarily of TAG system control units, TEXT display, and TOUCH display tablets. The TAG system control unit is sold as a stand-alone unit or in conjunction with our TEXT alphanumeric display or TOUCH high definition “touch activated” display. Hardware purchases also include costs of components used during installations, such as cables, mounting solutions, and other miscellaneous equipment. Wireless data fees. Our wireless data fees consist primarily of the data fees charged by outside providers of GPS tracking used in all of our TAG system control units. Mapping. Our mapping costs consist of aerial mapping, course map, geofencing, and 3D flyovers for golf courses. This cost is incurred at the time of hardware installation. Installation. Our installation costs consist primarily of costs incurred by our employed service technicians for the cost of travel, meals, and miscellaneous components required during installations. In addition, these costs also include fees paid to external contractors for installations on a project by project basis. Freight expenses and Inventory adjustments. Our freight expenses consist primarily of costs to ship hardware to courses for installations. Our inventory adjustments include inventory write offs, write downs, and other adjustments to the cost of inventory. Operating Expenses & Other Income (Expenses) We classify our operating expenses and other income (expenses) into six categories: compensation, research and development, general and administrative, warranty, foreign currency exchange, and finance costs. Our operating expenses consist primarily of sales and marketing, salaries and wages, consulting fees, professional fees, trade shows, software development, and allocated costs. Allocated costs include charges for facilities, office expenses, telephones and other miscellaneous expenses. Our other income (expenses) primarily consists of financing costs and foreign exchange gains or losses. Compensation expense. Our compensation expenses consist primarily of personnel costs, such as employee salaries, payroll expenses, and employee benefits. This includes salaries for management, administration, engineering, sales and marketing, and service support technicians. Salaries and wages directly related to projects or research and development are expensed as incurred to their operating expense category. Research and development. Our research and development expenses consist primarily of personnel costs and professional services associated with the ongoing development and maintenance of our technology. Research and development expenses include payroll, and other headcount-related expenses associated with product development. Research and development expenses also include third-party development and programming costs. Such costs related to software development are included in research and development expense until the point that technological feasibility is reached. Research and development is expensed and is included in operating expenses. General and administrative. Our general and administrative expenses consist primarily of sales and marketing, commissions, travel, trade shows, consultant fees, insurance, and compliance and other administrative functions, as well as accounting and legal professional services fees, allocated costs and other corporate expenses. Sales and marketing includes brand marketing, marketing materials, and media management. We expect to continue to invest in corporate infrastructure and incur additional expenses associated with being a public company, including increased legal and accounting costs, investor relations costs, higher insurance premiums and compliance costs associated with Section 404 of the Sarbanes-Oxley Act of 2002. In addition, we expect sales and marketing expenses to increase in absolute dollars in future periods. In particular, we expect to incur additional marketing costs to support the expansion of our offerings in new markets like commercial fleet management and agriculture. Warranty expense. Our warranty expenses consist primarily of associated material product costs, labor costs for technical support staff, and other associated overhead. Warranty costs are expensed as they are incurred. Foreign currency exchange. Our foreign currency exchange consist primarily of foreign exchange fluctuations recorded in Canadian dollar (CAD), British Pounds (GBP), or Euro (EUR) at the rates of exchange in effect when the transaction occurred. Finance costs. Our finance costs consist primarily of investor interest expense, investor commission fees, and other financing charges for obtaining debt financing. Revenue decreased by $69,359, or 5.9%, for the years ended December 31, 2017 as compared to the years ended December 31, 2016. The decrease was primarily due to lower sales in 2017 and continued design and redevelopment of our product line. Due to the redevelopment of our product line, it has created lower sales overall than anticipated. 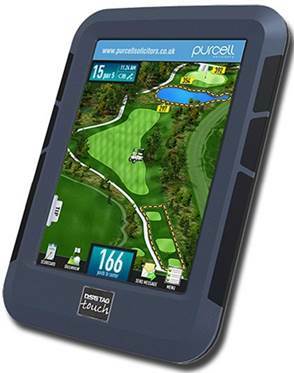 We have been forced to move to a 3G/4G GPS cellular device, require redevelopment of our advertising, and also software development delays in integrating the tournament software onto the TOUCH screen, all of which that has caused delays in sales. Our company along with the new sales team is aggressively building its pipeline for the next year. Cost of revenue decreased by $125,418 or 24.4%, for the years ended December 31, 2017 as compared to the years ended December 31, 2016. The decrease was primarily due to the decrease in hardware leases and sales. Costs of revenue as mentioned above was also due to a contract lease renewal that had no hardware costs associated. Sales also resulted in installation costs, freight charges, mapping, and direct labor costs in 2017 in comparison to 2016. Installation costs, such as direct labor decreased, cost of goods increased/decreased, mapping and freight costs decreased. Wireless fees also decreased which was due to new lower negotiated wireless fee rates. Compensation expense decreased by $225,440, or 23.2%, for the years ended December 31, 2017 as compared to the years ended December 31, 2016. The decrease was primarily due to our continued efforts to reduce costs. Research and development expense decreased by $58,115, or 100% for the years ended December 31, 2017 as compared to the year ended December 31, 2016 as we did not incur any research and development costs during the year. We expect research and development expenses to increase as we enter new markets like commercial fleet management, agriculture, and advertising. This increase in costs will be required to develop the new 3G/4G GPS cellular device. Overall, there was a decrease of $26,276 in accounting & legal was overall due to a change of auditors, as well the decrease was also due to efforts in decreasing legal costs for public filing requirements. There was an increase of $87,139 in subcontractor and commissions due to the hiring of more employees instead of contract workers and lower sales resulting in less commissions being paid. There was an overall increase in shipping costs of $23,884 or 58.0% due to the increased use of rush shipping services in 2016 for urgent customer service calls. Office and other expenses decreased overall by $44,410 reflecting our efforts of reducing costs. Warranty expense decreased by $112,109, or 55.4% for the years ended December 31, 2017 as compared to the years ended December 31, 2016. The decrease in warranty expense from 2017 to 2016 was primarily due to fewer breakdowns, and warranty costs were expensed as incurred. For the years ended December 31, 2017, we recognized $107,096 in foreign currency transaction gains as compared to $47,497 in foreign currency transaction loss for the year ended December 31, 2016. The difference was primarily due to the gains or losses arising from exchange rate fluctuations on payables, receivables, and other foreign exchange transactions denominated in currencies other than the functional currencies of the legal entities in which the transactions are recorded. Foreign currency fluctuations are primarily from transactions incurred in Canadian Dollar, Euro, and British pound. Finance costs increased by $707,198 or 269.0% for the year ended December 31, 2017 as compared to the years ended December 31, 2016. The increase was primarily due to an increase in the number and amount of convertible debt conversions during the year ending December 31, 2017. Change in fair value of derivative liabilities increased by $340,227 or 100% for the year ended December 31, 2017 as compared to the year ended December 31, 2016. As a result of the above factors, we have net loss after non-controlling interest attributable to the Company’s common stockholders of approximately $3,396,407 for the year ended December 31, 2017 as compared to $2,306,249 for the year ended December 31, 2016, representing an increase of approximately $1,090,158 or approximately 47.3%. This increase was primarily due to increased finance costs relating to the derivative expense during the year ended December 31, 2017. From our incorporation in April 17, 2008 through December 31, 2017, we have financed our operations, capital expenditures and working capital needs through the sale of common shares and the incurrence of indebtedness, including term loans, convertible loans, revolving lines of credit and purchase order financing. At December 31, 2017, we had $7,667,901 in outstanding indebtedness, which has either already reached maturity or matures within the next twelve months. We had cash in the amount of $5,489 as of December 31, 2017 as compared to $nil as of December 31, 2016. We had a working capital deficit of $8,002,300 as of December 31, 2017 compared to working capital deficit of $5,580,774 as of December 31, 2016. Net Cash Used in Operating Activities. During the year ended December 31, 2017, cash used in operations totaled $568,972. This reflects the net loss of 3,632,072 less $3,063,100 provided by changes in operating assets and liabilities and adjustments for non-cash items. Non-cash items from the issuance of convertible debt, related finance fees, and the subsequent revaluation accounted for $1,290,850 of the loss. Cash provided by working capital items increased primarily due to an increase in accounts payable and accrued liabilities of $719,127. A further reduction in inventory of $71,644 from the company moving to a presale model and increases from a warranty reserve estimate of $53,808 accounted for the largest items provided by working capital items. During the year ended December 31, 2016, cash used in operations totaled $620,157. This reflects the net loss of $2,768,659 less $2,148,502 provided by changes in operating assets and liabilities and adjustments for non-cash items. Cash provided by working capital items was primarily impacted by decreased inventory purchases of $269,553, a decrease in prepaid expense and deposits of $43,691, a decrease in related party receivable of $97,313 and an increase in trade payables and accruals of $1,250,632. Net Cash Provided by (Used in) Investing Activities. Investing activities provided $nil of cash in the year ended December 31, 2017. Investing activities provided $18,654 of cash in the year ended December 31, 2016, which was primarily provided by a decrease in equipment on lease. Net Cash (Used in) Provided by Financing Activities. Net cash provided by financing activities during the year ended December 31, 2017 totaled $984,684 provided primarily by $946,750 in proceeds from notes payable and $50,000 in proceeds from issuance of shares, offset by bank overdraft repayments of $5,316 and share issuance costs of $6,750. Net cash provided by financing activities during the year ended December 31, 2016 totaled $599,248 provided primarily by proceeds for notes payable of $650,099. ● Unsecured, convertible note payable in the amount of $110,250 interest 8% per annum. Matures on August 16, 2018. Principal is repayable in cash or common shares at a conversion price equal to 58% of the lowest Trading during the previous ten (10) Trading Day period ending on the latest complete Trading Day prior to the Conversion Date. ● Unsecured, convertible note payable in the amount of $107,000 interest 10% per annum. Matures on March 6, 2018. Principal is repayable in cash or common shares at the lower of (i) three cents ($0.03) and (ii) lowest Trading Price during the previous twenty five (25) Trading Day period ending on the latest complete Trading Day prior to the Conversion Date. ● Unsecured, convertible note payable in the amount of $107,000 interest 10% per annum. Matures on April 30, 2018. Principal is repayable in cash or common shares at the lower of (i) $0.004 or (ii) lowest Trading Price during the previous twenty-five (25) Trading Day period ending on the latest complete Trading Day prior to the Conversion Date. ● Unsecured, convertible note payable in the amount of $82,000 interest 10% per annum. Matures on June 8, 2018. Principal is repayable in cash or common shares at the lower of (i) $0.003 or (ii) lowest Trading Price during the previous twenty-five (25) Trading Day period ending on the latest complete Trading Day prior to the Conversion Date. ● On or before October 1, 2016, we must complete an additional financing for gross proceeds of at least $5.0 million and use at least $3.14 million to redeem the remaining 2,509,384 Series A Shares. If we fail to satisfy the above described financing and share redemption schedule, we will be in default of the Subscription and Debt Settlement Agreement which would entitle the holder of the Preferred Shares to convert the Series A Convertible Preferred Shares into common shares in the capital of DSG Global at the price of $1.25 per share. As of the date of this report, these commitments have not been satisfied and we are currently negotiating an extension on the terms of this agreement. Our principal sources of liquidity are our existing cash and cash generated from product sales. Our working capital deficiency at December 31, 2017 was $8,002,300. In order to achieve substantial profitability and positive cash flows from operations we will need to increase revenue and / or reduce operating expense. Our ability to maintain or increase, current revenue levels to achieve and sustain profitability will depend, in part, on demand for our products. There can be no assurances that we will be able to raise additional capital on acceptable terms or at all, which would adversely affect our ability to achieve our business objectives. In addition, if our operating performance during the next twelve months is below our expectations, our liquidity and ability to operate our business could be adversely affected. In the ordinary course of business, we enter into agreements of varying scope and terms pursuant to which we agree to indemnify customers, vendors, lessors, business partners and other parties with respect to certain matters, including, but not limited to, losses arising out of breach of such agreements, services to be provided by us or from intellectual property infringement claims made by third parties. In addition, we have entered into indemnification agreements with directors and certain officers and employees that will require us, among other things, to indemnify them against certain liabilities that may arise by reason of their status or service as directors, officers or employees. No demands have been made upon us to provide indemnification under such agreements and there are no claims that we are aware of that could have a material effect on our consolidated balance sheet, consolidated statements of operations, consolidated statements of comprehensive loss or consolidated statements of cash flows. We currently lease our corporate headquarters in Surrey, British Columbia, under operating lease agreements that expire through to July 31, 2017. The terms of the lease agreements provide for rental payments on a graduated basis. We recognize rent expense on a straight-line basis over the lease periods. We prepare our consolidated financial statements in accordance with U.S. GAAP. The preparation of consolidated financial statements also requires us to make estimates and assumptions that affect the reported amounts of assets, liabilities, revenue, costs and expenses, and related disclosures. We base our estimates on historical experience and on various other assumptions that we believe to be reasonable under the circumstances. Actual results could differ significantly from the estimates made by our management. To the extent that there are differences between our estimates and actual results, our future financial statements presentation, financial condition, results of operations, and cash flows will be affected. We believe that the assumptions and estimates associated with revenue recognition, foreign currency and foreign currency transactions and comprehensive loss have the greatest potential impact on our consolidated financial statements. Therefore, we consider these to be our critical accounting policies and estimates. For further information on all of our significant accounting policies, see the notes to our consolidated financial statements. In August 2016, the Financial Accounting Standards Board (“FASB”) issued ASC 2016-15 “Statement of Cash Flows (Topic 230) – Classification of Certain Cash Receipts and Cash Payments”. These amendments are intended to provide guidance for each of the eight issues included, to reduce the current and potential future diversity in practice. Early adoption is permitted including in an interim period. In January 2016, the FASB issued ASC 2016-01 “Financial Instruments – Overall (Subtopic 825-10) – Recognition and Measurement of Financial Assets and Liabilities” a new standard related primarily to accounting for equity investments, financial liabilities where the fair value option has been elected, and the presentation and disclosure requirements for financial instruments. There will no longer be an available-for-sale classification and therefore, no changes in fair value will be reported in other comprehensive income for equity securities with readily determinable fair values. Early adoption is permitted. In March 2017, the Financial Accounting Standards Board (“FASB”) issued ASC 2017-08 “Receivables – Nonrefundable Fees and Other Costs (Subtopic 310-20) – Premium Amortization on Purchased Callable Debt Securities” an amendment to shorten the amortization period for certain callable debt securities held at a premium to the earliest call date. The amendments do not require an accounting change for securities held at a discount. In July 2017, the Financial Accounting Standards Board (“FASB”) issued ASC 2017-11 “Earnings Per Share (Topic 260), Distinguishing Liability from Equity (Topic 480), and Derivatives and Hedging (Topic 815) – (i) Accounting for Certain Financial Instruments with Down Round Features (ii) Replace of the Indefinite Deferral for Mandatorily Redeemable Financial Instruments.” The amendments in (i) change the classification analysis of certain equity-linked financial instruments (or embedded features) with down round features and to help clarify existing disclosure requirements. The amendments in (ii) characterize the indefinite deferral of certain provisions and do not have an accounting effect. In February 2016, the FASB issued ASC 2016-02 “Leases (Topic 842)” a comprehensive standard related to lease accounting to increase transparency and comparability among organizations by recognizing lease assets and lease liabilities on the balance sheet and disclosing key information about leasing arrangements. Most significantly, the new guidance requires lessees to recognize operating leases with a term of more than 12 months as lease assets and lease liabilities. The adoption will require a modified retrospective approach at the beginning of the earliest period presented. Early adoption permitted. The Company is currently evaluating the impact of the above standards on their consolidated financial statements. Other recent accounting pronouncements issued by the FASB, including its Emerging Issues Task Force, the American Institute of Certified Public Accountants, and the Securities and Exchange Commission did not or are not believed by management to have a material impact on the Company’s present or future consolidated financial statements. To the Board of Directors and Stockholders of DSG Global, Inc.
We have audited the accompanying consolidated balance sheet of DSG Global, Inc. (the “Company”) as of December 31, 2017, and the related consolidated statements of operations and comprehensive loss, stockholders’ deficit, and cash flows for the year then ended and related notes (collectively, the “consolidated financial statements”). In our opinion, the consolidated financial statements present fairly, in all material respects, the financial position of the Company as at December 31, 2017, and the results of their operations and their cash flows for the year ended December 31, 2017, in conformity with accounting principles generally accepted in the United States of America. The accompanying consolidated financial statements have been prepared assuming the Company will continue as a going concern. As discussed in Note 2 to the consolidated financial statements, the Company has a working capital deficit, and has incurred significant operating losses and negative cash flows from operations since inception. As at December 31, 2017, the Company has an accumulated deficit of $30,409,853. These factors raise substantial doubt about the Company’s ability to continue as a going concern. Management’s plans in regard to these matters are also discussed in Note 2 to the consolidated financial statements. The consolidated financial statements do not include any adjustments that might result from the outcome of this uncertainty. These consolidated financial statements are the responsibility of the Company’s management. Our responsibility is to express an opinion on the Company’s consolidated financial statements based on our audit. We are a public accounting firm registered with the Public Company Accounting Oversight Board (United States) (“PCAOB”) and are required to be independent with respect to the Company in accordance with the U.S. federal securities laws and the applicable rules and regulations of the Securities and Exchange Commission and the PCAOB. We conducted our audit in accordance with the standards of the PCAOB. Those standards require that we plan and perform the audit to obtain reasonable assurance about whether the consolidated financial statements are free of material misstatement, whether due to fraud or error. The Company is not required to have, nor were we engaged to perform, an audit of its internal controls over financial reporting. As part of our audit, we are required to obtain an understanding of the Company’s internal controls over financial reporting, but not for the purpose of expressing an opinion on the effectiveness of the Company’s internal controls over financial reporting. Accordingly, we express no such opinion. Our audit included performing procedures to assess the risks of material misstatement of the consolidated financial statements, whether due to fraud or error, and performing procedures that respond to those risks. Such procedures included examining, on a test basis, evidence regarding the amounts and disclosures in the consolidated financial statements. Our audit also included evaluating the accounting principles used and significant estimates made by management, as well as evaluating the overall presentation of the consolidated financial statements. We believe that our audit provides a reasonable basis for our opinion. Lichter, Yu and Associates, Inc.
We have audited the accompanying consolidated balance sheets of DSG Global, Inc. and Subsidiary (the “Company”) as of December 31, 2016, and the related consolidated statements of operations, comprehensive loss, stockholders’ deficit, and cash flows for the two year ended December 31, 2016. The Company’s management is responsible for these financial statements. Our responsibility is to express an opinion on these financial statements based on our audit. We conducted our audit in accordance with the standards of the Public Company Accounting Oversight Board (United States). Those standards require that we plan and perform the audit to obtain reasonable assurance about whether the financial statements are free of material misstatement. The company is not required to have, nor were we engaged to perform, an audit of its internal control over financial reporting. Our audit included consideration of internal control over financial reporting as a basis for designing audit procedures that are appropriate in the circumstances, but not for the purpose of expressing an opinion on the effectiveness of the company’s internal control over financial reporting. Accordingly, we express no such opinion. An audit also includes examining, on a test basis, evidence supporting the amounts and disclosures in the financial statements, assessing the accounting principles used and significant estimates made by management, as well as evaluating the overall financial statement presentation. We believe that our audits provide a reasonable basis for our opinion. In our opinion, the financial statements referred to above present fairly, in all material respects, the consolidated financial position of DSG Global, Inc. as of December 31, 2016, and the consolidated results of its operations and its cash flows for the year ended December 31, 2016, in conformity with accounting principles generally accepted in the United States of America. The accompanying consolidated financial statements have been prepared assuming that the Company will continue as a going concern. As discussed in Note 2 to the consolidated financial statements, the Company has an accumulated deficit of $27,013,446 and negative working capital of $5,580,774 which raises substantial doubt about its ability to continue as a going concern. Management’s plans concerning these matters are also described in Note 2. The financial statements do not include any adjustments that might result from the outcome of this uncertainty. /s/ Lichter, Yu and Associates, Inc.
DSG Global, Inc. (formerly Boreal Productions Inc.) (the “Company”) was incorporated under the laws of the State of Nevada on September 24, 2007. The Company was formed to option feature films and TV projects to be packaged for sale to movie studios and production companies. On January 19, 2015, the Board of Directors approved an agreement and plan of merger to merge with wholly-owned subsidiary DSG Global Inc., a Nevada corporation, to affect a name change from Boreal Productions Inc. to DSG Global, Inc. On April 13, 2015, the Company entered into a share exchange agreement with DSG Tag Systems Inc. (“DSG TAG”), a company incorporated under the laws of the State of Nevada on April 17, 2008 and extra provincially registered in British Columbia, Canada in 2008, whereby the Company acquired 75% of DSG TAG in exchange for the issuance of 15,185,875 common shares. In addition, concurrent with the share exchange agreement, the Company issued 179,823 common shares for settlement of accrued interest. On July 6, 2015 and through to October 13, 2015, the Company acquired the remaining 27,035,175 common shares of DSG TAG in exchange for the issuance of 4,921,303 common shares of the Company. As of July 6, 2015, the Company held a 100% interest in DSG TAG. The Company is a technology development company engaged in the design, manufacture, and marketing of fleet management solutions for the golf industry, as well as commercial, government and military applications. Its principal activities are the sale and rental of GPS tracking devices and interfaces for golf vehicles, and related support services. The Company specializes in the vehicle fleet management industry, primarily focused on the golf industry to help golf course operators manage their fleet of golf carts, turf equipment, and utility vehicles. Additionally, an aggregate of 4,229,384 shares of Series A Convertible Preferred Stock of DSG TAG continues to be held by Westergaard Holdings Ltd., an affiliate company of a former director of the Company. In March 2011, DSG TAG formed DSG Tag Systems International, Ltd., a company incorporated in the United Kingdom (“DSG UK”). DSG UK is a wholly-owned subsidiary of DSG TAG. These consolidated financial statements have been prepared on a going concern basis, which implies the Company will continue to realize its assets and discharge its liabilities in the normal course of business. The continuation of the Company as a going concern is dependent upon the continued financial support from its shareholders and note holders, the ability of the Company to obtain necessary equity financing to continue operations, and ultimately the attainment of profitable operations. As at December 31, 2017, the Company has a working capital deficit of $8,002,300 and has an accumulated deficit of $30,409,853 since inception. Furthermore, the Company incurred a net loss of $3,632,072 and used $568,972 of cash flows for operating activities during the year ended December 31, 2017. These factors raise substantial doubt regarding the Company’s ability to continue as a going concern. These consolidated financial statements do not include any adjustments to the recoverability and classification of recorded asset amounts and classification of liabilities that might be necessary should the Company be unable to continue as a going concern. The accompanying consolidated financial statements have been prepared in accordance with accounting principles generally accepted in the United States (“US GAAP”) and are expressed in U.S. dollars. These consolidated financial statements include the accounts of the Company and its wholly-owned subsidiaries, DSG TAG and DSG UK. All material intercompany accounts, transactions and profits were eliminated in consolidation. The preparation of these consolidated financial statements in conformity with U.S. generally accepted accounting principles requires management to make estimates and assumptions that affect the reported amounts of assets and liabilities and the disclosure of contingent assets and liabilities at the date of the financial statements and the reported amounts of revenues and expenses during the reporting period. The Company regularly evaluates estimates and assumptions related to the collectability of accounts receivable, valuation of inventory, useful lives and recoverability of long-lived assets, valuation of loans payable, fair value of convertible debentures, derivative liabilities, warranty reserves, and stock-based compensation, and deferred income tax asset valuation allowances. The Company bases its estimates and assumptions on current facts, historical experience, and various other factors that it believes to be reasonable under the circumstances, the results of which form the basis for making judgments about the carrying values of assets and liabilities and the accrual of costs and expenses that are not readily apparent from other sources. The actual results experienced by the Company may differ materially and adversely from the Company’s estimates. To the extent there are material differences between the estimates and the actual results, future results of operations will be affected. The Company’s policy for equipment requires judgment in determining whether the present value of future expected economic benefits exceeds capitalized costs. The policy requires management to make certain estimates and assumptions about future economic benefits related to its operations. Estimates and assumptions may change if new information becomes available. If information becomes available suggesting that the recovery of capitalized cost is unlikely, the capitalized cost is written off to the consolidated statement of operations. The assessment of whether the going concern assumption is appropriate requires management to take into account all available information about the future, which is at least, but is not limited to, 12 months from the end of the reporting period. The Company is aware that material uncertainties related to events or conditions may cast significant doubt upon the Company’s ability to continue as a going concern. The Company considers all highly liquid instruments with maturity of three months or less at the time of issuance to be cash equivalents. As at December 31, 2017 and 2016, there were no uninsured balances for accounts in Canada, United States, or United Kingdom. The Company has not experienced any losses in such accounts and believes it is not exposed to any risks on its cash in bank accounts. Accounts receivable is comprised of amounts due from customers and is recorded net of allowance for doubtful accounts. All accounts receivable are due thirty days from the date billed. The Company provides financing arrangements, including operating leases and financed service contracts for certain qualified customers. Lease receivables primarily represent sales-type and direct-financing leases. Leases typically have two- to three-year terms and are collateralized by a security interest in the underlying assets. The Company makes an allowance for uncollectible financing receivables based on a variety of factors, including the risk rating of the portfolio, macroeconomic conditions, historical experience, and other market factors. As at December 31, 2017 and 2016 management determined that there was no allowance necessary. The Company also provides financing guarantees, which are generally for various third-party financing arrangements to channel partners and other customers. The Company could be called upon to make payment under these guarantees in the event of non-payment to the third party. Financial instruments that potentially subject the Company to concentrations of credit risk are cash and accounts receivable. The Company places its cash in credit-worthy financial institutions. The Company’s accounts receivables are comprised of a diversified customer base, most of which are in Canada, United States and the United Kingdom. The Company controls credit risk related to accounts receivable through credit approvals, credit limits and monitoring procedures. The Company routinely assesses the financial strength of its customers and, based upon factors surrounding the credit risk, establishes an allowance, if required, for uncollectible accounts. The carrying amount of cash and accounts receivables represents the maximum credit exposure. Inventory is comprised of finished goods and is valued at the lower of cost or net realizable value. Cost is determined using the first-in-first-out basis for finished goods. Net realizable value is determined on the basis of anticipated sales proceeds less the estimated selling expenses. Inventory is reviewed at least annually for impairment due to slow moving or obsolescence. Intangible assets are stated at cost less accumulated amortization and are comprised of patents. The patents are amortized straight-line over the estimated useful life of 17 years and are reviewed annually for impairment. The Company reviews long-lived assets such as equipment, equipment on lease, and intangible assets with finite useful lives for impairment whenever events or changes in circumstance indicate that the carrying amount may not be recoverable. If the total of the expected undiscounted future cash flows is less than the carrying value of the asset, a loss is recognized for the excess of the carrying amount over the fair value of the asset. The Company’s functional and reporting currency is the U.S. dollar. The functional currency of DSG TAG is in Canadian dollars. The functional currency of DSG UK is in British Pounds. Monetary assets and liabilities denominated in foreign currencies are translated using the exchange rate prevailing at the balance sheet date. Non-monetary assets, liabilities, and items recorded in income arising from transactions denominated in foreign currencies are translated at rates of exchange in effect at the date of the transaction. Gains and losses arising on translation or settlement of foreign currency denominated transactions or balances are included in the determination of income. The accounts of DSG TAG and DSG UK are translated to U.S. dollars using the current rate method. Accordingly, assets and liabilities are translated into U.S. dollars at the period-end exchange rate while revenues and expenses are translated at the average exchange rates during the period. Related exchange gains and losses are included in a separate component of stockholders’ equity as accumulated other comprehensive income (loss). The Company recognizes revenue when persuasive evidence of an arrangement exists, delivery has occurred, the fee is fixed or determinable, and collectability is reasonably assured. In instances where final acceptance of the product is specified by the customer, revenue is deferred until all acceptance criteria have been met. The Company accrues for warranty costs, sales returns, and other allowances based on its historical experience. The Company has one reportable segment. The Company’s activities are interrelated, and each activity is dependent upon and supportive of the other. Accordingly, all significant operating decisions are based on analysis of financial products provided as a single global business. Research and development expenses include payroll, employee benefits, and other related expenses associated with product development. Research and development expenses also include third-party development and programming costs, localization costs incurred to translate software for international markets, and the amortization of purchased software code and services content. Such costs related to software development are included in research and development expense until the point that technological feasibility is reached. Research and development is expensed and included in the consolidated statement of operations. The Company accounts for income taxes using the asset and liability method in accordance with ASC 740, Income Taxes. The asset and liability method provides that deferred income tax assets and liabilities are recognized for the expected future tax consequences of temporary differences between the financial reporting and tax bases of assets and liabilities, and for operating loss and tax credit carry-forwards. Deferred income tax assets and liabilities are measured using the currently enacted tax rates and laws that will be in effect when the differences are expected to reverse. The Company records a valuation allowance to reduce deferred income tax assets to the amount that is believed more likely than not to be realized. The Company has not recorded any amounts pertaining to uncertain tax positions. The Company computes net income (loss) per share in accordance with ASC 260, Earnings per Share. ASC 260 requires presentation of both basic and diluted earnings per share (“EPS”) on the face of the consolidated statement of operations. Basic EPS is computed by dividing net income (loss) available to common shareholders (numerator) by the weighted average number of shares outstanding (denominator) during the period. Diluted EPS gives effect to all dilutive potential common shares outstanding during the period using the treasury stock method and convertible preferred stock using the if-converted method. In computing diluted EPS, the average stock price for the period is used in determining the number of shares assumed to be purchased from the exercise of stock options or warrants. Diluted EPS excludes all dilutive potential shares if their effect is anti-dilutive. As at December 31, 2017, the Company had 585,040,862 (2016 – 12,259,635) potentially dilutive shares outstanding. The Company is subject to risks from, among other things, competition associated with the industry in general, other risks associated with financing, liquidity requirements, rapidly changing customer requirements, limited operating history, foreign currency exchange rates and the volatility of public markets. The Company’s financial instruments consist principally of cash, accounts receivable, amounts due from and to related parties, bank overdraft, account payable and accrued liabilities, convertible note – related party, loans payable, derivative liabilities, and convertible notes payable. The recorded values of all other financial instruments approximate their current fair values because of their nature and respective maturity dates or durations. During the year ended December 31, 2017, the Company recognized a loss on the change in fair value of derivative liabilities of $340,227 (2016 – $223,795). Certain conditions may exist as at the date that the consolidated financial statements are issued, which may result in a loss to the Company, but which will only be resolved when one or more future events occur or fail to occur. The Company’s management and legal counsel assess such contingent liabilities, and such assessment inherently involves judgment. In assessing loss contingencies related to legal proceedings that are pending against the Company or unasserted claims that may result in such proceedings, the Company’s legal counsel evaluates the perceived merits of any legal proceedings or un-asserted claims as well as the perceived merits of the amount of relief sought or expected to be sought. If the assessment of a contingency indicates it is probable that a material loss has been incurred and the amount of the liability can be estimated, then the estimated liability would be accrued in the Company’s consolidated financial statements. If the assessment indicates that a potential material loss contingency is not probable but is reasonably possible, or is probable but cannot be estimated, then the nature of the contingent liability, together with an estimate of the range of possible loss if determinable and material would be disclosed. Loss contingencies considered to be remote by management are generally not disclosed unless they involve guarantees, in which case the guarantee would be disclosed. The Company records stock-based compensation in accordance with ASC 718, “Compensation – Stock Compensation”, using the fair value method. All transactions in which goods or services are the consideration received for the issuance of equity instruments are accounted for based on the fair value of the consideration received or the fair value of the equity instrument issued, whichever is more reliably measurable. The Company uses the Black-Scholes option pricing model to calculate the fair value of stock-based awards. This model is affected by the Company’s stock price as well as assumptions regarding a number of subjective variables. These subjective variables include, but are not limited to the Company’s expected stock price volatility over the term of the awards, and actual and projected employee stock option exercise behaviors. The value of the portion of the award that is ultimately expected to vest is recognized as an expense in the consolidated statement of operations over the requisite service period. Certain of the figures presented for comparative purposes have been reclassified to conform to the current presentation adopted in the current period. In March 2017, the FASB issued ASC 2017-08 “Receivables – Nonrefundable Fees and Other Costs (Subtopic 310-20) – Premium Amortization on Purchased Callable Debt Securities” an amendment to shorten the amortization period for certain callable debt securities held at a premium to the earliest call date. The amendments do not require an accounting change for securities held at a discount. In July 2017, the FASB issued ASC 2017-11 “Earnings Per Share (Topic 260), Distinguishing Liability from Equity (Topic 480), and Derivatives and Hedging (Topic 815) – (i) Accounting for Certain Financial Instruments with Down Round Features (ii) Replace of the Indefinite Deferral for Mandatorily Redeemable Financial Instruments.” The amendments in (i) change the classification analysis of certain equity-linked financial instruments (or embedded features) with down round features and to help clarify existing disclosure requirements. The amendments in (ii) characterize the indefinite deferral of certain provisions and do not have an accounting effect. The Company is currently evaluating the impact of the above standards on the consolidated financial statements. Other recent accounting pronouncements issued by the FASB, including its Emerging Issues Task Force, the American Institute of Certified Public Accountants, and the Securities and Exchange Commission are not believed by management to have a material impact on the Company’s present or future consolidated financial statements.